The government must not delay in declaring IIT-Madras, IIT-Kharagpur, Delhi University, Jadavpur University and Anna University eminent. Our columnist, Dr. Pushkar, explains why. Earlier in July, an Empowered Experts Committee (EEC) appointed by the Indian government, consisting of N. Gopalaswami (chairman), former Chief Election Commissioner; Tarun Khanna, Harvard University; Renu Khator, president, University of Houston; and Pritam Singh, former director, IIM-Lucknow, recommended 11 universities, eight public and three private, to be given the Institutions of Eminence (IoE) status. The IoE initiative was launched in August 2017 to select 20 preeminent universities in the country - 10 public and 10 private - to promote them on the world stage. Only a few Indian institutions figure among the world’s top 500 institutions and the thinking behind this initiative was to provide additional financial support and independence to select universities so that at least some of them could rise and break into the ranks of the top 100 or 200 institutions worldwide. 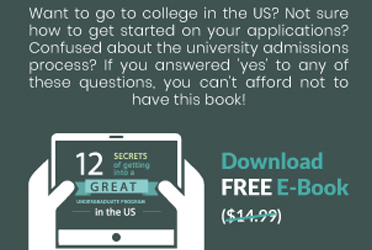 The larger idea of providing additional support to select universities for the explicit purpose of placing them among the world’s best is not an unfamiliar one to international higher education experts. China has done something similar from the mid-1990s onwards (and continues to) and with great success so that today, several Chinese universities have substantially improved their positions in world university rankings. Indeed, Peking University and Tsinghua University count among the world’s top 50 universities. 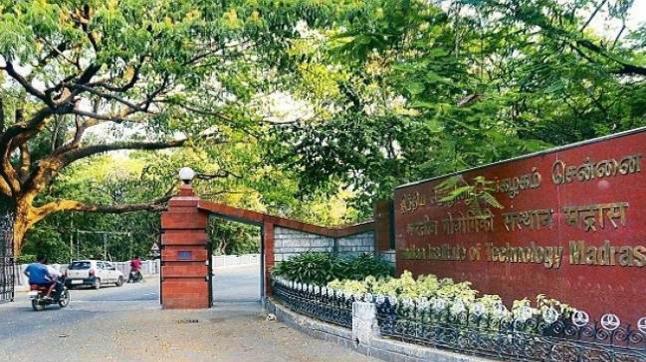 In contrast, the top-ranked Indian institution in this year’s Times Higher Education (THE) rankings was the Indian Institute of Science (IISc) in the 251-300 group. The IoE institutions are to be given unprecedented administrative and financial autonomy in a wide range of matters including, among others, faculty and staff salaries, student fees, and course offerings and content. The public institutions are to be made richer by Rs. 1,000 crores each in order to compete more effectively on the world stage. Other than adhere to a reasonably flexible set of guidelines, these universities will also be completely free of the cumbersome and arguably stultifying University Grants Commission (UGC) regulations. On their part, the IoE institutions are expected to climb up the charts in world university rankings in the next 10-15 years failing which they could be stripped of their status. The government chose to select only six institutions from the EEC’s list, three public and three private institutions. Among the public institutions, the Indian Institute of Science (IISc) and the Indian Institutes of Technology (IIT) Bombay and Delhi were selected; and the Birla Institute of Technology and Science (BITS) Pilani, Manipal Academy of Higher Education (MAHE) and Jio Institute from among private institutions. The claim of five other public institutions which were recommended for the IoE status by the EEC was denied, reportedly to maintain a balance between the numbers of selected public and private institutions. IIT-Madras, IIT-Kharagpur, Delhi University, Jadavpur University and Anna University were needlessly excluded even though all of them are vastly superior to the three private institutions that were selected i.e. BITS Pilani, MAHE and still-unbuilt Jio Institute. IIT-Madras, one of the five institutions which lost out has rightly made some noise about the government’s decision. It was recently reported that the industrialist and IIT-Madras chairman Pawan Goenka conveyed the concerns of the Board of Governors regarding the institution’s exclusion to Human Resource Development (HRD) Minister Prakash Javadekar barely a month after the IoE list was announced in early July. The five EEC-recommended institutions that were left out of the final list have every reason to be upset. First of all, the government itself had announced that it would select 10 public institutions for the eminence status and the unlucky five made it as far as securing the recommendation of the EEC. Second, as mentioned above, all the five excluded institutions are far superior to the three private institutions that are selected. Clearly, these five institutions have a far better chance of climbing up in world university rankings than the three private universities. The government’s decision just does not add up. Finally, facing intense criticism after the announcement about the six IoE institutions, particularly the selection of Jio Institute, the government itself had hinted that the unlucky five would be declared Institutions of Eminence at a later date. More than three months later, there is no further development regarding the matter. Neither is there any reasonable explanation for the delay. What is the government waiting for? Have government officials forgotten about the IoE initiative? Does it not want to spend Rs. 1,000 crores it has committed to each eminent public institution? The government’s silence and delay on the IoE initiative reflects poorly on its commitment to beefing up India’s best universities for international competition. Indeed, the IoE initiative has been marred by a lack of clarity and several inconsistencies. The selection process has been quite unprofessional. The time to make amends is now, before the nation becomes consumed by the general elections. The government should immediately announce that the five institutions which were earlier left out - IIT-Madras, IIT-Kharagpur, Delhi University, Jadavpur University and Anna University - are now designated as eminent institutions.